A Variational Approach to Structural Analysis provides readers with the underpinnings of the finite element method (FEM) while highlighting the power and pitfalls of virtual methods. In an easy-to-follow, logical format, this book gives complete coverage of the principle of virtual work, complementary virtual work and energy methods, and static and dynamic stability concepts. The first two chapters prepare the reader with preliminary material, introducing in detail the variational approach used in the book as well as reviewing the equilibrium and compatibility equations of mechanics. The next chapter, on virtual work, teaches how to use kinematical formulations for the determination of the required strain relationships for straight, curved, and thin walled beams. The chapters on complementary virtual work and energy methods are problem-solving chapters that incorporate Castigliano's first theorem, the Engesser-Crotti theorem, and the Galerkin method. In the final chapter, the reader is introduced to various geometric measures of strain and revisits straight, curved, and thin walled beams by examining them in a deformed geometry. 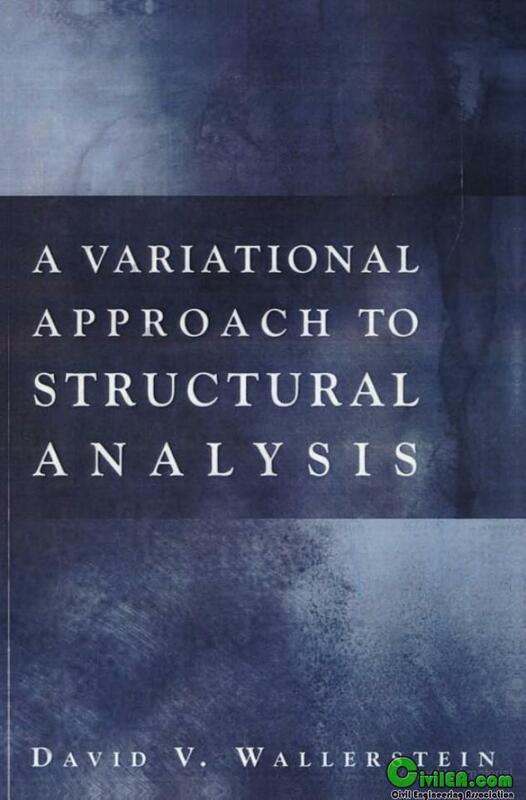 Based on nearly two decades of work on the development of the world's most used FEM code, A Variational Approach to Structural Analysis has been designed as a self-contained, single-source reference for mechanical, aerospace, and civil engineering professionals. The book's straightforward style also provides accessible instruction for graduate students in aeronautical, civil, mechanical, and engineering mechanics courses. If you like the book, buy it! Support the author(s)!